TBG > Blog > Why TBG Artists are the Best Mehendi Artist for South Indian Brides? 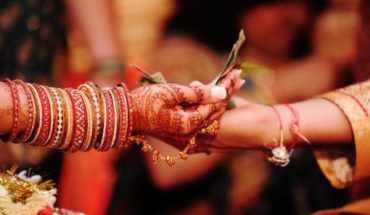 Indian Weddings, whether North Indian or South Indian weddings; are known to be week-long affairs with multiple rituals and customs to be followed on different days. 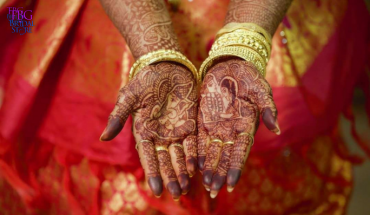 One of the prime custom or ceremonies of the wedding event is the Mehendi ceremony. 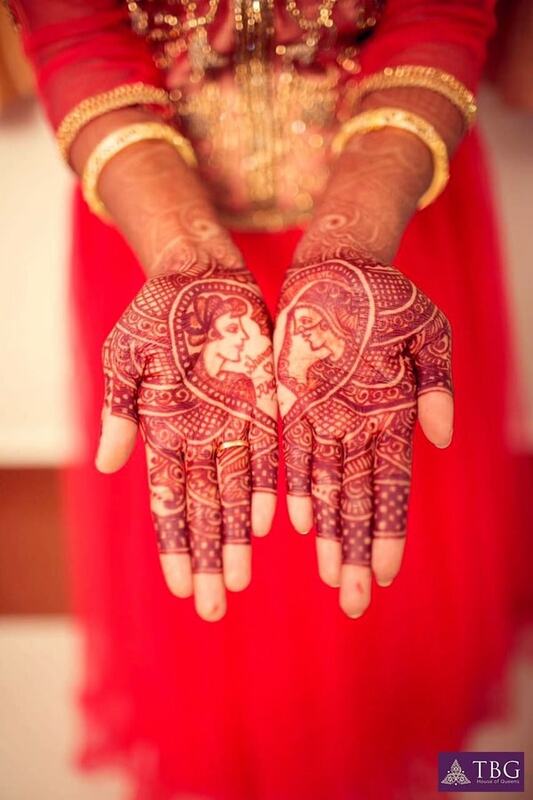 Mehendi ceremony has a very important hold in Indian weddings, both North and South Indian weddings. 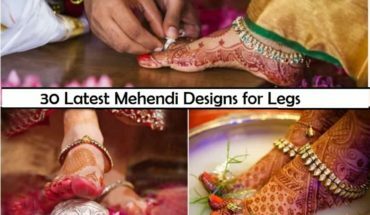 Not only the bride but also the groom along with their families and friends puts mehendi as it is considered to be an auspicious ritual. 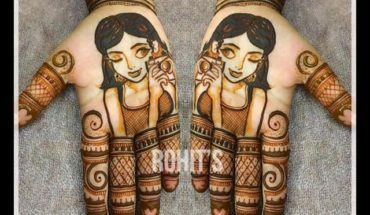 These days instead of getting a local mehendi artist or someone from the neighbouring parlour, people tend to hire professional mehendi artists or expert mehendi artists utilising different online portals. TBG is one such online portal which is hugely popular among the South Indian wedding planners or South Indian brides. The Unique Selling Proposition or USP of TBG is that it holds specialisation in South Indian weddings. They keep special consideration while making the various arrangements for the South Indian bride. This, of course, means they go by the taste and preferences of the individual South Indian brides and other members who are taking part in the custom, and also the traditions of South Indian culture. 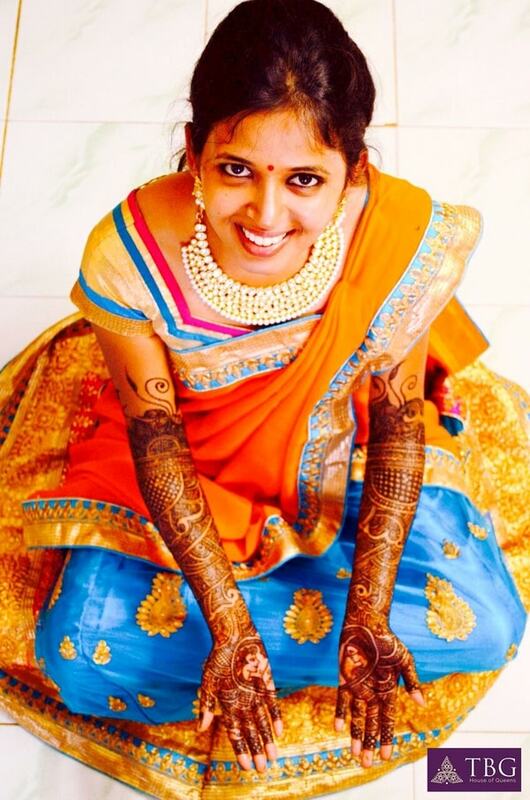 The mehendi designs done by the mehendi expert or professionals sent by TBG, are exclusively for the South Indian brides. 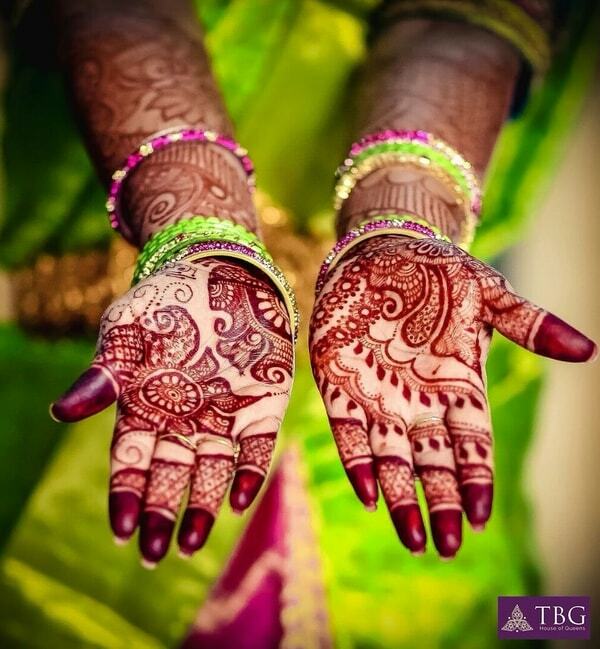 The look and feel of the mehendi done by TBG mehendi artist are South Indian to its core. Once the bride contacts the TBG for her bridal mehendi, the TBG consultant on her part carries out multiple discussion sessions with the bride getting all the minute detailing of the bride’s preference for the separate designs for hands and feet. Sample images of old works along with latest trending designs are sent to the bride and her relatives and friends who all are going to be part of the mehendi ceremony. Many will promise you best quality mehendi coming up with the brightest shades of red or maroon or brown. But you never know if the dark shades are coming due to any chemical adulteration. TBG promises you with the best quality and naturally grown mehendi without any chemical adulteration but that doesn’t mean it won’t offer you a great colour. TBG mehendi artists offer you the best possible bridal mehendi. TBG sends multiple expert mehendi artists to the wedding venue so that the other friends and relative who are taking part in the ceremony do get left out or get delayed in putting the mehendi on hands and feet. Being professional expert they are competent to handle multiple clients one after another. They keep separate designs for the young, the old and also the kids! Are you a wannabe bride? 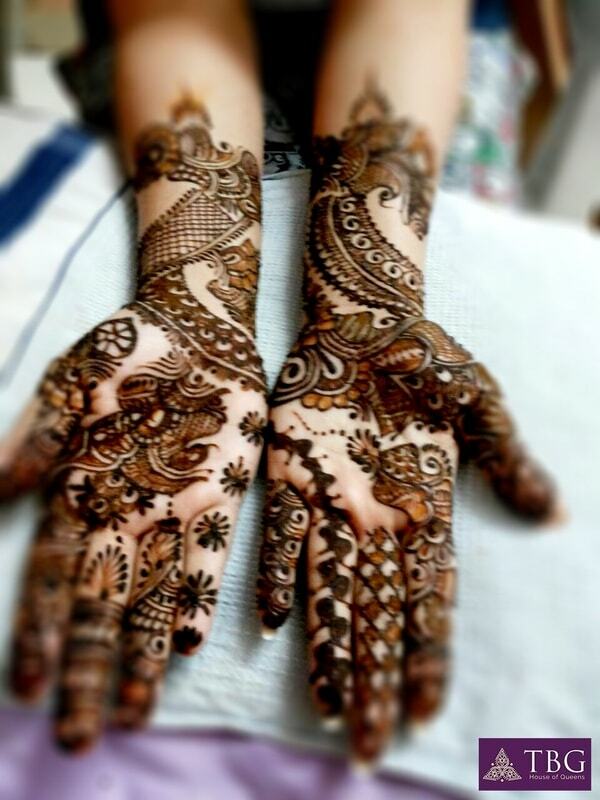 Looking for the best mehendi for your wedding? 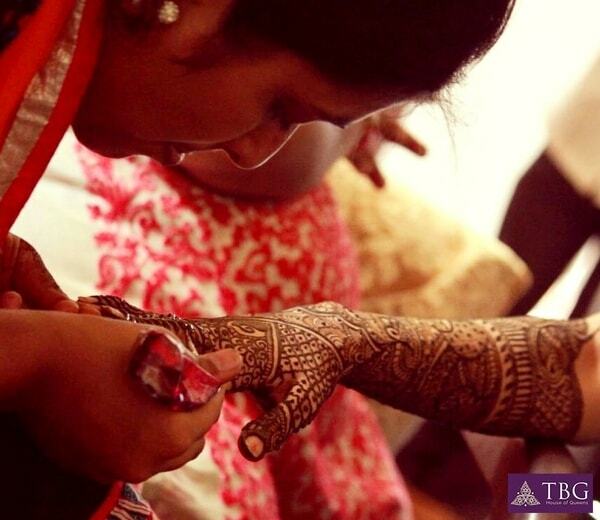 TBG Bridal Mehendi service is what you are in need of. Below is the comment section for all your queries, views and suggestions. We would love to hear you!